Over the years we have been blessed to receive the support and business of those around us – without it, we would not be the dealership we are today. To thank those that have helped us throughout the years, we remain active and supportive throughout the community. While we list a few activities and organizations on this page, we remain involved in so much more throughout the area and are always look for new ways to help. 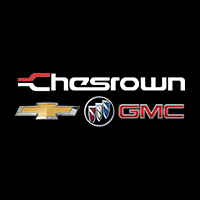 If you know of an organization or group that could use the help of Chesrown Chevrolet Buick GMC, please contact us at (740) 363-1175. The Strand Movie Theatre is a great piece of Delaware history, having been in business for 100 years. With that many years of service to the city of Delaware, it should come as no surprise that this theater has become a historic treasure to our community. The Strand Movie Theatre has been the go-to theatre for many Delaware families for generations. Having served so many families over the years, the Theatre was in need of a few repairs. That is why we gave a monetary gift to the historic Strand Theatre to help this Downtown Delaware business make improvements to the interior and lobby, ensuring that this essential part of our community would remain intact for future generations. Being a 19-year cancer survivor himself, Jim Gill knows the hardships that an individual and their loved ones can face when there is a serious medical diagnosis in the family. It is because of this personal experience that we here at Chesrown are proud to support the local chapter of the Make-A-Wish Foundation as they work to grant the wish of children diagnosed with life-threatening medical conditions. If you too would like to support this fantastic organization, you’ll find our local chapter’s page here. We truly enjoy being involved with the Delaware County Foundation, not only because it gives us a chance to give back, but also because it gives us the opportunity to support foundation that does so much for the community. This foundation is essentially a collection of charitable funds that are invested and distributed as grants to local charitable organizations. The Delaware County Foundation accepts donations and uses them to improve the quality of life for those who live and work in Delaware County. In 2013, Chesrown was proud to be the presenting sponsor at the Evening of Generosity where the Foundation honored outstanding givers in our community. Our involvement with the Delaware County Fair started when a young girl from the Delaware community visited our store to ask Ryan to buy her 4-H rabbits. Ryan felt honored to have been asked, so he visited the Delaware County Fair that day and bought her entire pen. Every year since then we have visited the fair and bought animals from various 4-H booths, as well as offered our support for the Little Brown Jug – the grand finale of the Delaware County Fair. This race is always magnificent and fun to watch, which is why we’ve loved the Jug for the past 11 years.